Vehicle Parts Specials | Lindsay Dodge Chrysler (1990) Ltd. Listed below are our current promotions and parts specials. Please check back often as they change throughout the year. A clean air filter allows the engine to burn fuel more efficiently increasing gas mileage and smoother running. 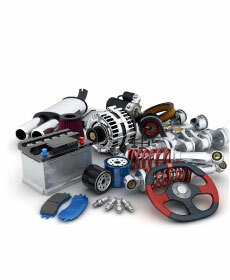 With a large selection of quality accessories designed to fit your specific vehicle give us a call. ***** FCA/MOPAR parts are covered by a minimum 2 YEAR WARRANTY **** with some items carrying a LIFETIME WARRANTY. Certain conditions apply, see dealer for details.